My Writing Process. HOW I DO. Over at Terribleminds, Chuck put the question to everyone, what does your writing process look like? It was a timely question for me, because my writing process has only really solidified into something routine in the past few months. Everyone does this writing thing differently, and reading some of the other responses has been fascinating. Anyhow, here’s my writing process. Please let me know yours in the comments! Well… from the moment I wake up (before I put oon my maake-uppp) I get in front of my PC. It’s a full on gaming rig, so firing up MS word is a bit like heading to the office in a tank. This is happening at anywhere from 6am to 7.30am. First I check my emails to see if any of the Day Job projects I’m working on have killed anybody (hasn’t happened thus far. 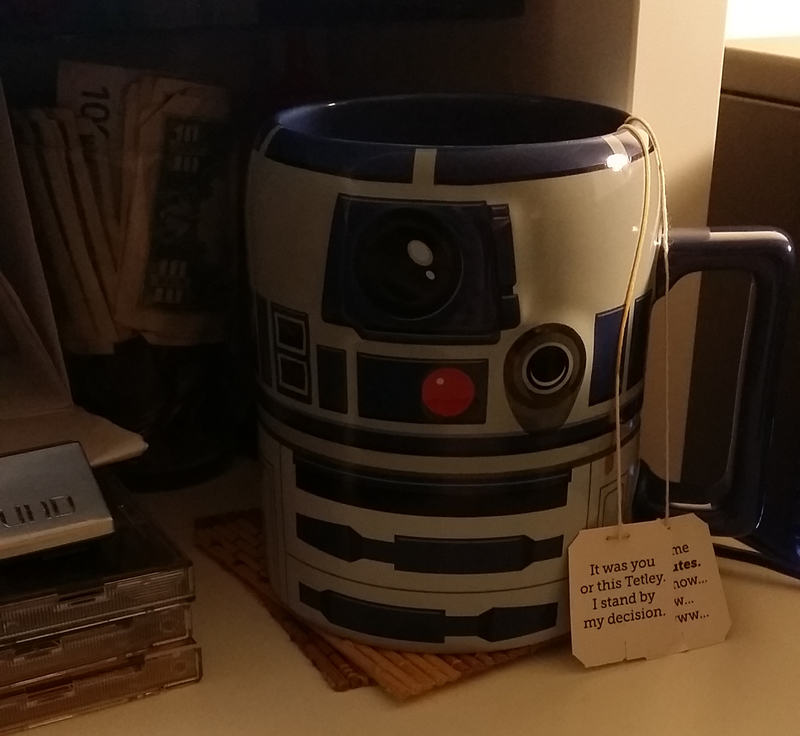 WINNING), and then I get a giant R2D2 mug of tea with two teabags. If I’m currently writing I aim for a word count of 400 words. If editing I try to tackle one scene, defined as GOAL>CONFLICT>DISASTER, or one sequel, defined as REACTION>DILEMMA>DECISION. If I need to work on outlining because something no longer makes sense I do that instead, taking my notes by pen, MS Word comment function, or in a file entitled CHANGES. If I’ve got a nicely edited second draft I write a long synopsis dividing the whole thing into scenes, and use this exercise to work out what gets cut, changed or abbreviated. After all that I inflict it on mum. Repeat previous steps until this low hurdle is cleared, then planning to seek beta readers. So once again, what does your writing process look like? This entry was posted in Uncategorized and tagged Chuck Wendig, editing, fiction, process, Routine, Writing. Bookmark the permalink. 2 Responses to My Writing Process. HOW I DO.